Uncertainty Quantification (UQ) is a relatively new research area which describes the methods and approaches used to supply quantitative descriptions of the effects of uncertainty, variability and errors in simulation problems and models. It is rapidly becoming a field of increasing importance, with many real-world applications within statistics, mathematics, probability and engineering, but also within the natural sciences. Literature on the topic has up until now been largely based on polynomial chaos, which raises difficulties when considering different types of approximation and does not lead to a unified presentation of the methods. Moreover, this description does not consider either deterministic problems or infinite dimensional ones. 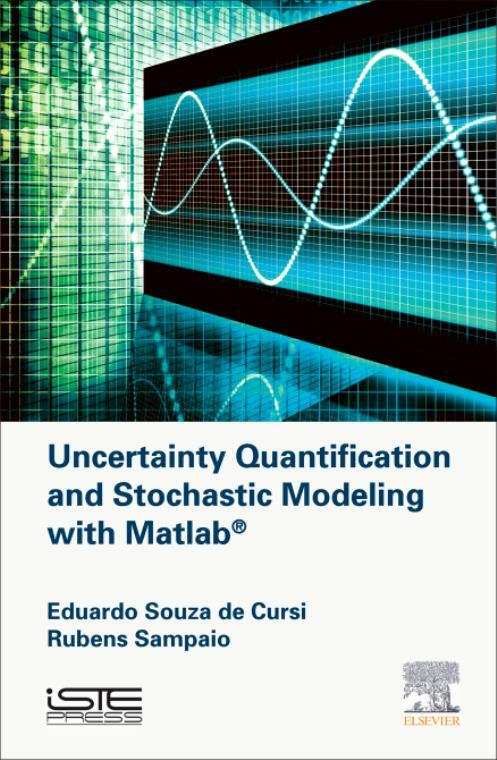 This book gives a unified, practical and comprehensive presentation of the main techniques used for the characterization of the effect of uncertainty on numerical models and on their exploitation in numerical problems. In particular, applications to linear and nonlinear systems of equations, differential equations, optimization and reliability are presented. Applications of stochastic methods to deal with deterministic numerical problems are also discussed. Matlab® illustrates the implementation of these methods and makes the book suitable as a textbook and for self-study. Eduardo Souza De Cursi is Professor at the National Institute for Applied Sciences in Rouen, France, where he is also Dean of International Affairs and Director of the Laboratory for the Optimization and Reliability in Structural Mechanics.